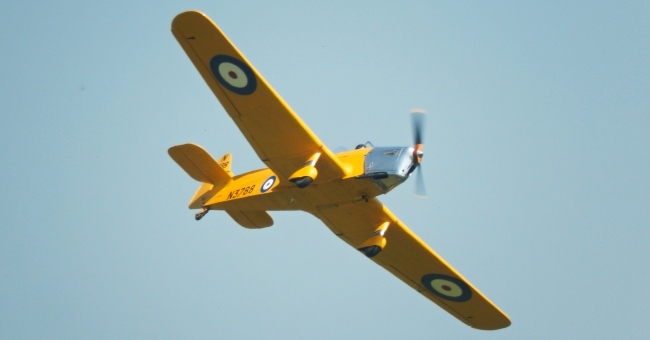 The Magister or 'Maggie' as it was nicknamed was used to train Royal Air Force pilots during the 1930s, with around 700 in service at the outbreak of World War 2. Sold aboard a number of Miles Magister aircraft would also be used as test beds for various ideas. 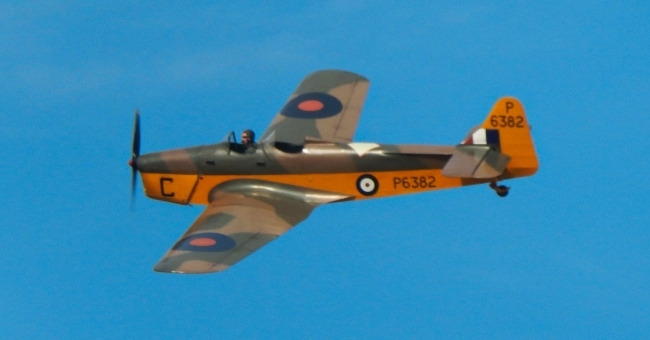 With the Miles Hawk Trainer being a success for the Phillips & Powis, which would become Miles Aircraft, Elementary Flying School as well as on the civil market the Air Ministry was interested in an improved version to become the Royal Air Force's elementary trainer. This new aircraft would be built to Specification T.40/36 and would see the Air Ministry forgo its policy of ordering only metal aircraft as the Magister was mainly wood. 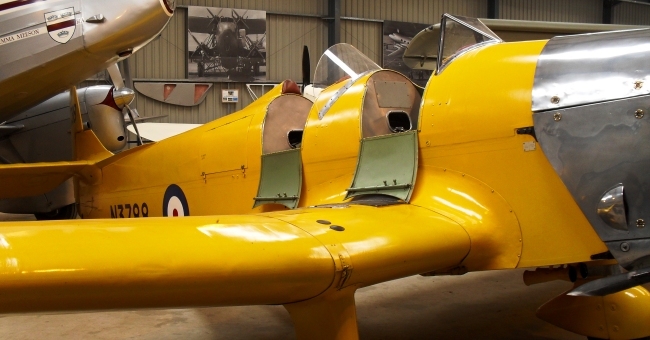 The design of the aircraft saw the two open cockpits back to back, fixed under carriage and was the first RAF trainer to have a low-wing. Further changes were made to the design which saw the cockpit size increased and blind flying equipment supplied. 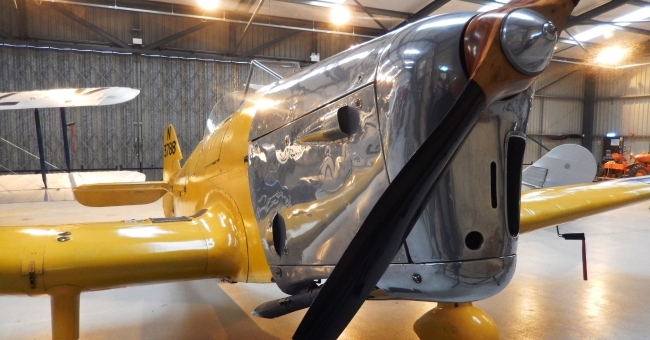 With these new changes a new Specification, T.37/37, was issued for production aircraft. 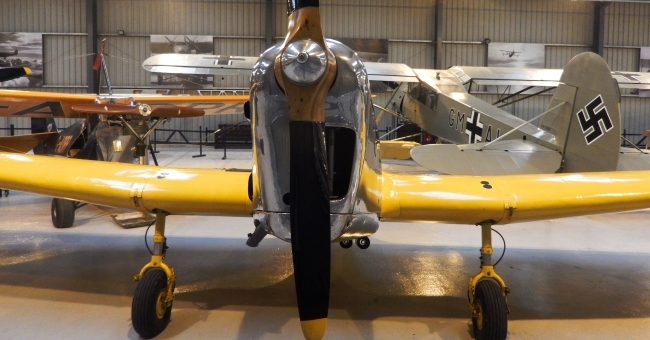 The M.14 Magister was powered by the 130-hp de Havilland Gipsy Major I engine which gave it a top speed of 132 mph, a range of 380 miles and a service ceiling of 18,000 ft. This made its first flight on the 20th March 1937 with F.G. Miles at the controls. The prototype was then sent to the Aircraft and Armament Experimental Establishment at Martlesham Heath for trials. It was on its first test flight that an issue with the type was discovered. Sent into a spin the pilot was unable to recover the plane and had to bail out. This issue would affect the RAF's early Magisters which they had started to receive during October 1937, with a number lost in this way. This would lead to modifications to the design. This would lead to the M.14A Magister which had the same range and service ceiling of the M.14, but with a top speed of 142 mph was 10 mph faster. Design changes to the aircraft saw the tailplane raised, the rear fuselage re-designed and anti-span strakes fitted in an effort to make the aircraft recoverable in a spin. These changes did not eradicate the problem so the rudder was re-designed with a higher aspect ratio and increased area and this would solve the issue. During its Royal Air Force career it equipped the Elementary Flying Training School and the Central Flying School. 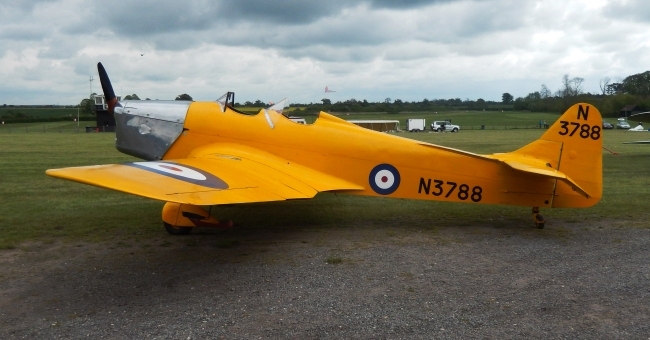 The Magister would also serve with the British Army, training glider pilots and used by Army Co-operation Command. 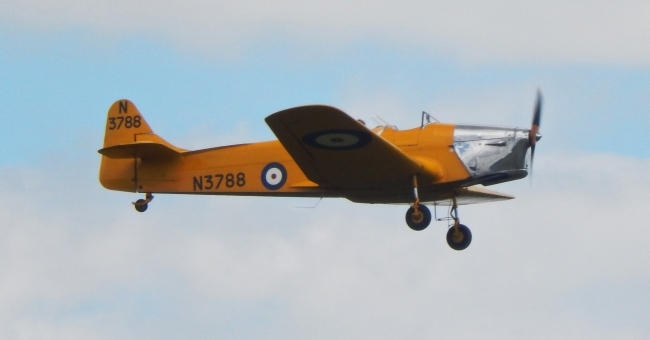 The type, like its training counterpart the de Havilland Tiger Moth, had a few examples fitted with bomb racks able to carry eight 25lb bombs during 1940 when the threat of a German invasion of the UK was considered likely. The Fleet Air Arm would also use the aircraft. 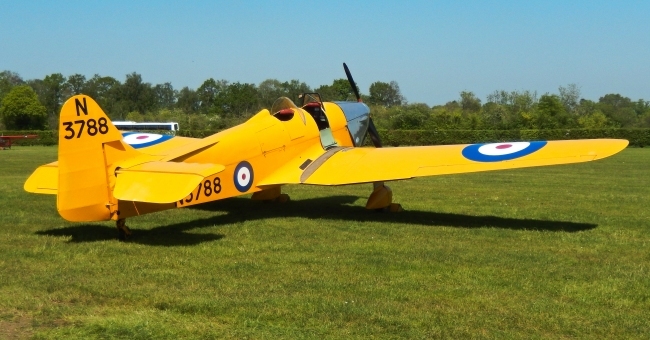 The Miles Magister was also used for testing various ideas, one of which was a new type of landing gear. Early RAF airfields were mainly all grass allowing an aircraft to land in any direction, but these were now being phased out in favour of runways. So a Magister was fitted with castored wheels and landing gear to see if this helped with landing in cross winds. 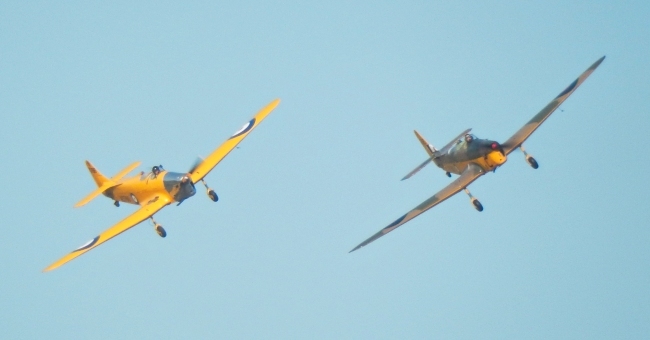 During 1941 a Magister tested a new wing by towing it. This was to be considered for use on medium bombers and allow them to carry an increased bombload. But with the introduction of larger numbers of four-engined bombers the idea was redundant. In total 1,303 examples were built between 1937 and 1941 with 100 built under license in Turkey. The Magister was also sold overseas with Egypt and New Zealand buying a small number. 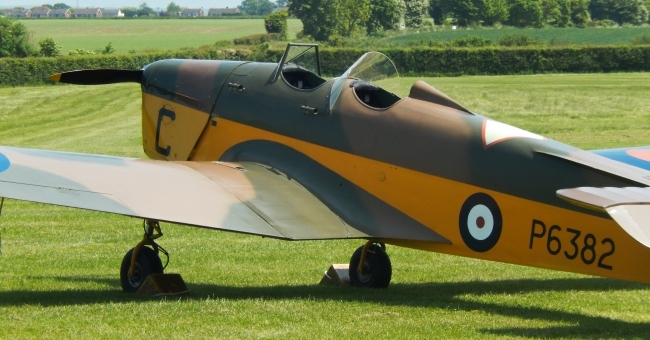 After its retirement from the Royal Air Force in 1948 a number would end up in civilian hands and were known as the M.14B Magister. 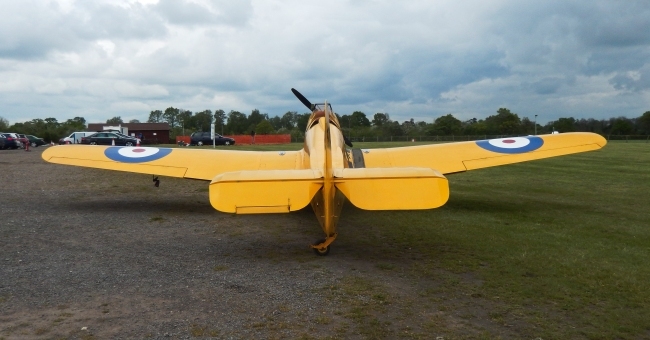 M.14B Magister Civilian version powered by a 135hp Blackburn Cirrus II engine.